Right Click Enhancer Professional is a powerful, yet lightweight, and easy to use app which enables you to take control over your right click menu. Right Click Enhancer allows you to customize the context menu, edit file associations, rename multiple files easily, edit file attributes, view meta tags, verify if SFV files are corrupted, and more. It gives you power to control the ultimate right click menu, comes bundled with many options that can be used in order to edit shell menu entries in an easy manner. 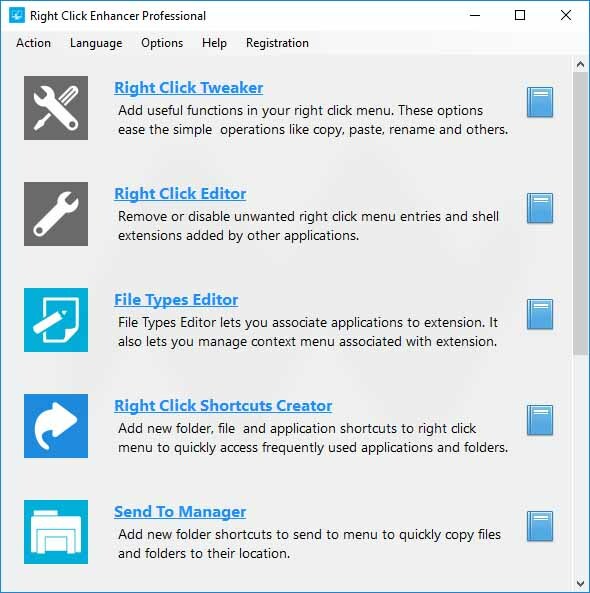 Right Click Enhancer Professional Full lets you add new entries to the context menu, such as comparing file hash, make an app launched as administrator, create shortcuts for particular apps, and so on. Moreover, you can also create, adjust or remove file associations as well as export anything to registry file with ease. Time-saving right click tweaks, etc.